Sky Sports is to replace its F1 channel over Christmas and the New Year with a service dedicated to Darts. Sky Sports Darts will provide coverage of the 2016 PDC World Darts Championship from Alexandra Palace, although all live sessions will also be simulcast on either Sky Sports 1, 2 or 3. The channel will take over from Sky Sports F1 between Monday 14th December 2015 and Tuesday 5th January 2016, when the F1 themed channel is due to return. 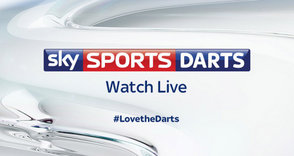 Sky Sports Darts will also be available to Sky Sports Pass holders on NOW TV.